What kind of wings do ladybugs have? From ladybug wings to duckling wings, children will be delighted by the bright, bold art and the eye-catching touch-and-feel elements as they answer the questions on each spread. 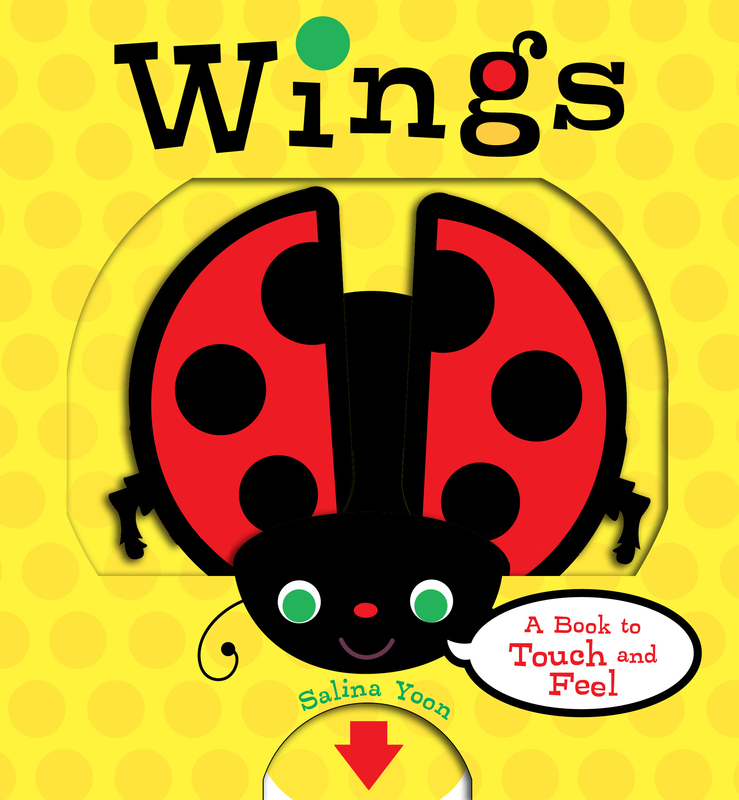 Readers will be drawn in by the chunky board pull-tab ladybug wings on the cover and stay captivated by the colors and textures of the beautiful animals. Featuring sparkling silver bumble bee wings, glistening green hummingbird wings, shiny red ladybug wings, fuzzy yellow duckling wings, and shimmery pink butterfly wings, Wings will keep readers fluttering and flapping through each page.